This is another popular dip from Middle East like hummus, made with eggplant also served with pita bread. Green chilli ........... 1 (chopped) My addition to make it a bit spicy. Lemon juice ......... 2-3 tbsps. 1.Pierce the brinjal/eggplant with a fork or knife and roast it on gas flame until the skin turns out black. 2. Peel the skin and seperate the pulp. 3. In a food processor grind all the ingredients. 4. Remove in a bowl and drizzle a little more olive oil. Serve chilled with pita bread. Is Tahine some kind of a sauce, di? Yes Punam, it is a concentrated paste of roasted sesame seeds ground with oil. .. used in most of the Lebanese dishes. Wow! I loved this. I ate it with fresh veggies. Yum! I didn't know the recipe, Thanks for sharing! 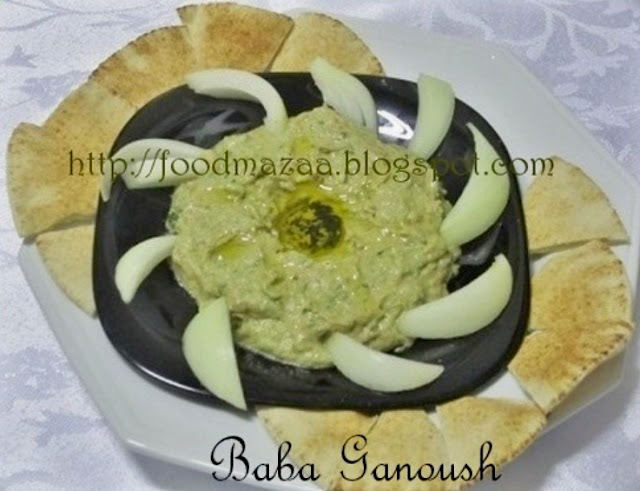 Yummy baba ganoush,wish to have with some pita bread chips. I havent tasted this... you make it look so simple!! 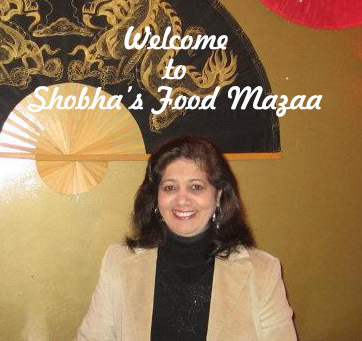 superb..
hi shobha, hmmm yummy, really like this kind of food. bookmarked with thanks..simply love the eggplant and tahini.. I love this amazing dip and the lovely roasted flavour.